Hallmark of the M-F 14 is its compact design, quick implementation, simplified servicing and reduced footprint. 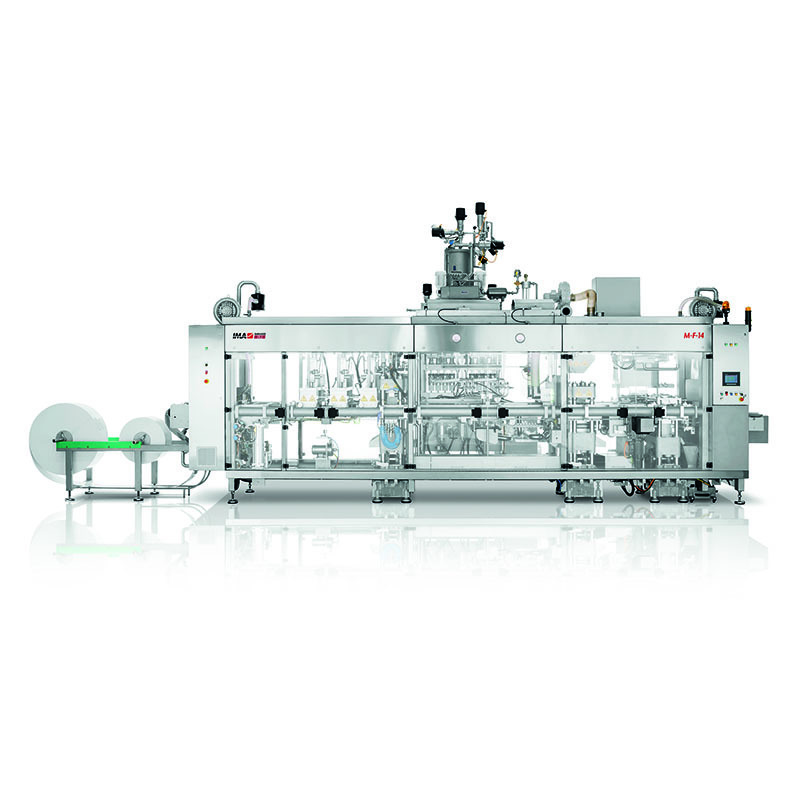 A rapid commissioning machine, offering best value for money with space savings reaching up to 30% compared to similar FFS machines. 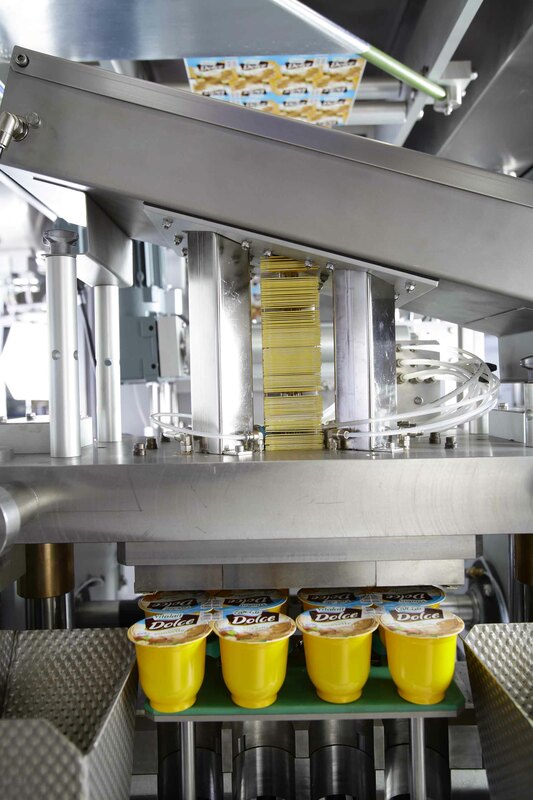 Designed to handle yoghurt, fresh cheese, tomato sauce, fruit puree, water and more, the M-F 14 form, fill and seal machine is one of the market’s most compact solution for cups in a wide range of shapes and sizes, combining a series of processes on one single machine. 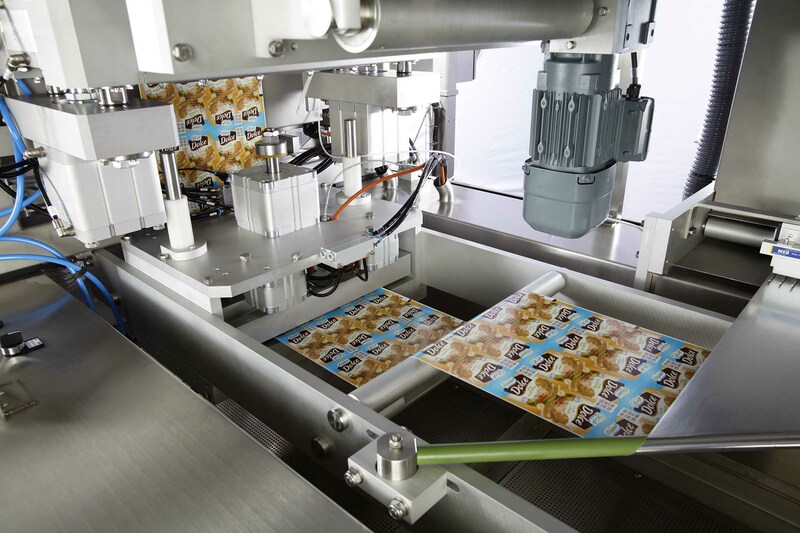 Cups are thermoformed, filled with product, hermetically sealed with a film or foil and cut into singles or multi-packs. Cups can be designed cost-effectively with interesting labelling solutions and freedom of cup geometry. 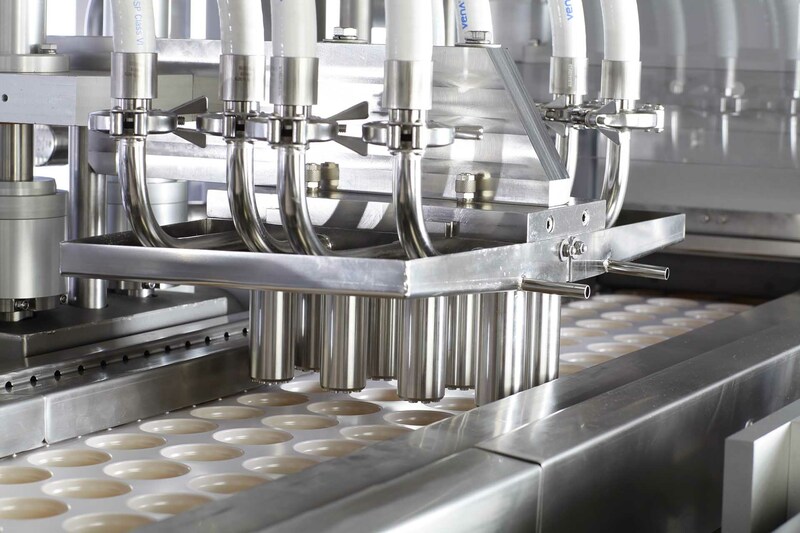 Not only a marketing tool, the label also strengthens the cup’s sidewall stability, enabling a thinner bottom web resulting in lower material costs. Reduced footprint saving up to 30% on floor space. 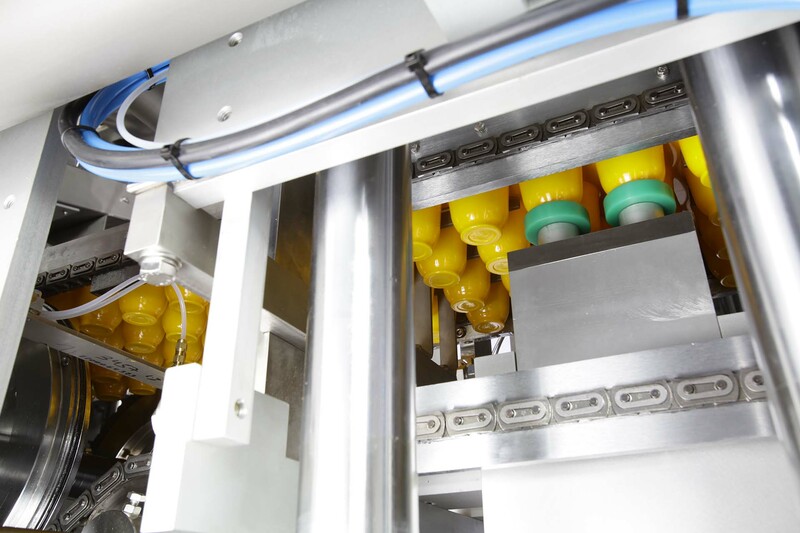 Integration of electro-pneumatic cabinets and filler in machine base. Highly versatile equipment: cups from 20 to 500 ml.